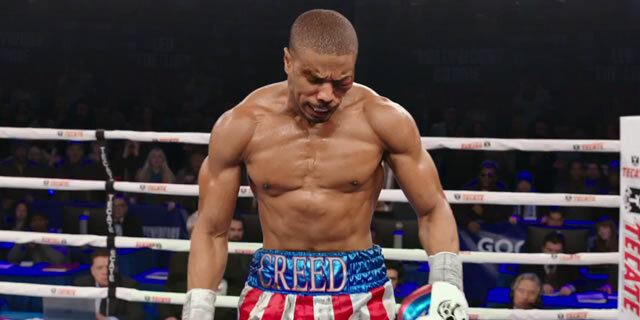 So tonight I got to see the movie Creed which is technically the 7th Rocky movie, but at the same its the first Creed movie. Set in the same universe as the Rocky movies, this is the story of Apollo Creeds son Adonis, who was born out of an affair Apollo had shortly before meeting his demise in Rocky IV. After being left in a boys home Apollo Creeds widow takes him in as her own son and brings him up in Hollywood. Adonis tries his luck as a fighter in LA and Mexico (under his mothers surname Johnson) before giving it all up to move to Philadelphia to train with and meet Rocky Balboa (his fathers greatest opponent and friend). At first Rocky is hesitant but before we know it Adonis is in the ring fighting in a high profile fight under Rocky's guidance. After the fight word gets round via the media that Johnson is in fact the biological son of the greatest fighter that ever lived Apollo Creed. Just like in the original movie Adonis gets a title shot (which he doesn't really deserve) just because of his blood line. Adonis has one shot at the title and has the greatest guy in the corner for such an adventure. The movie is another one of those reboot/sequel/remakes which is a very popular formula in cinema at the moment. Get an old movie franchise people went crazy about back in the day, create some new characters and mix them in with some old ones and retell the same story using better technology and effects! 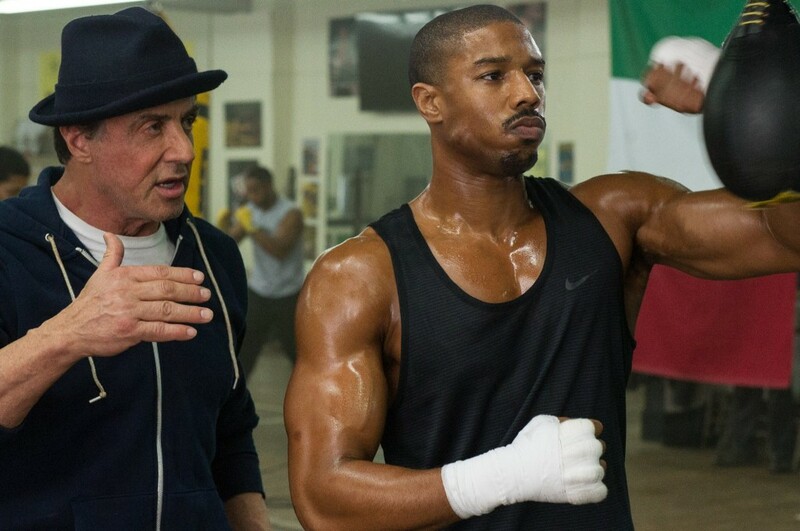 Its a trend which has been very evident most notably with the releases of Jurassic World, the new Star Wars and now Creed. These movies are breaking box office records and Star Wars is still raking in cash as we speak. Its smart business all round at the moment, as parents can get kids into film franchises they watched as kids and everyone's a winner.. until we get these types of movies rammed down our throats for a few years and people get wise to the recipe. 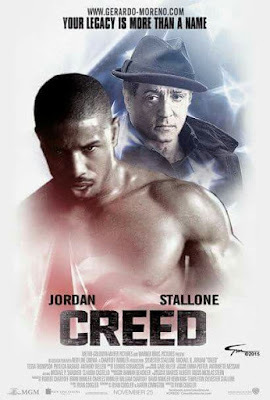 Creed does kinda fall out of that bracket a tiny bit by having a different title to the other movies in the franchise but that is about all it does to separate it from being another Rocky movie. The movie takes the Rocky saga to a complete circle as now Rocky is taking the role of Mickey (the trainer) taking a young fighter under his wing to take a shot at a title he doesn't deserve. Its also key to point out that Rocky is now the same age Mickey was in the first movie which is crazy when you think about it. 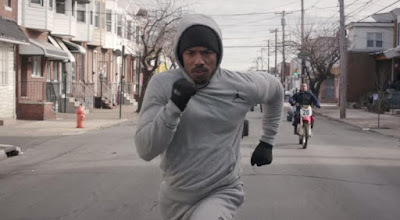 Another weird thing for me was after seeing Rocky Balboa in the cinema 10 years ago, I had closure on the Rocky franchise so I found it a bit strange to revisit the setting and characters. The fact the movie wasn't directed by Stallone helps it be more of its own movie with its own kind of identity, rather than just a sequel or a spin off. 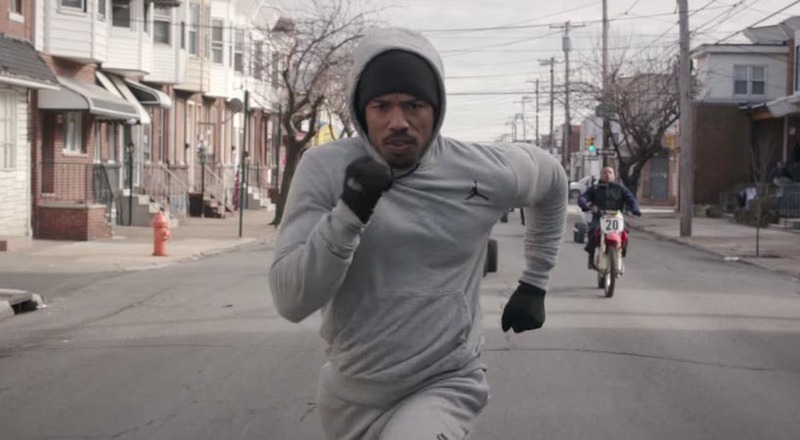 At first Rocky is just a minor background character but that drastically changes midway through the film. The movie does has a love interest which is really boring and one of the movies not so high notes. 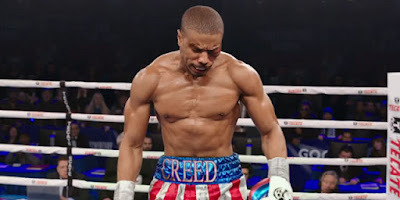 The romance doesn't have a drop of the chemistry or power the Rocky and Adrian story had, and its almost like they said "we need Creed to have a girlfriend.. get him to bang the woman downstairs or something". The fight scenes are shot and performed really well which is standard for a Rocky movie as each movie has always evolved with each attempt. Whether it be new camera angles, sound effects and choreography, these movies always learn from past mistakes and innovate with improvements. If you don't understand study the Rocky boxset and watch how the fights improve from the first Apollo Creed fight and evolve the last fight in Balboa. I was extremely impressed to see an entire round shot with one camera and no cuts in the second fight in this movie. Another thing which really does hamper this movie and the last two Rocky installments, is the fact they stopped making up fictional boxers and just casted real fighters with different names. I genuinely believe that if the first Rocky movie had Joe Frazier in the main event called something else the movie would have bombed. A big reason the Rocky movies were so iconic was the fact Rocky fought against these larger than life opponents like Apollo Creed, Ivan Drago and Clubber Laing. Today the boxing world is not a very colorful one when it comes to personalities and charisma and I don't think it was a mistake to cast Tony Bellew or Anthony Tarver in a Rocky movie, but letting them be them selves on screen is no good for a Rocky movie. I mean, would it have been that hard to let Bellew fight in this movie without the Everton kit? 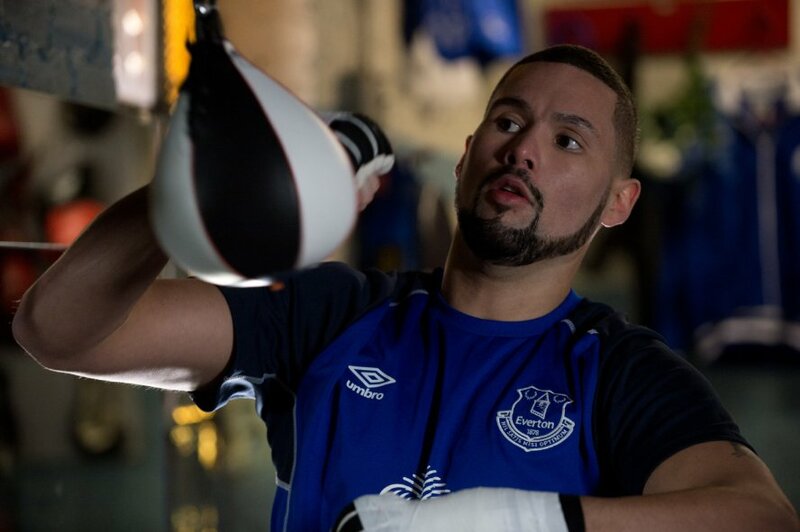 As a boxing fan and Rocky enthusiast my brain all kind of scrambled up seeing Bellew playing another boxer in a movie.. but looks and sounds like Tony Bellew to even the football kit. A wardrobe change could have solved a lot for me but he is a pretty good antagonist in the main event so I will let it slide. My final verdict of the movie is a thumbs up. It was exactly what I thought it would be and exactly what I wanted to see! A modern day remake of Rocky with a black guy! If you like Rocky you will approve and dig some more nostalgia and if you haven't seen a Rocky movie, I think it will still be an enjoyable watch for you.